*A withdrawal is defined as any money removed from the account whether it is cash or a transfer of funds. This product is a good compromise between a Money Market account and a Certificate, especially in these low interest times. Very useful if you are saving for a specific need. Our highest variable savings account rates  The DCU Ltd Savings Account offers you rates comparable to our highest Money Market Account rates in exchange for reduced withdrawals. If you need more frequent access, the Money Market Account would be a better choice for you. If you don't need regular access, you should consider our Jumbo Certificates for even higher returns. Unlimited deposits  Add to your account as often as you like for free. No charge for first withdrawal per month  The withdrawal can be any amount of money removed from the account in the form of cash or a transfer of funds. The second and any subsequent withdrawals each month are $25 each. $25,000 minimum to earn dividends  Dividends are paid from day of deposit to day of withdrawal compounded daily and paid monthly. Federally insured by NCUA – Learn more about insurance on all your savings at DCU and how to maximize your coverage. Dividends are paid on entire balance for each day a $25,000 balance is maintained. Dividends are posted at the end of each calendar month. Paid dividends remaining in the account will earn dividends at the same rate and on the same terms. Dividends compound daily and are based on a 365-day year. Accrued dividends not yet posted will be forfeited if account is closed. The minimum balance required to maintain current status is $0.01. You can make a maximum of one no charge withdrawal from the account each calendar month. A fee of $25.00 will be automatically assessed for each additional withdrawal during the month. Rates may change after the account is opened and are subject to change weekly. Refer to DCU's Truth-In-Savings Disclosure and Account Agreements and Schedule of Fees and Service Charges. Please refer to Features and Rates tabs for more information. Minimum balance of $25,000 to earn dividends. No minimum to open. Unlimited deposits. One no charge withdrawal per month. *Rate may change after the account is opened and is subject to change weekly. Funds earn dividends from the first business day of deposit and are compounded daily and posted monthly. Accrued dividends are forfeited if account is closed prior to monthly dividend posting. Fees or other conditions may reduce earnings on these accounts. Refer to DCU's Truth-in-Savings Disclosures and Account Agreements, Ltd Savings Account Application and Disclosure, and Schedule of Fees and Service Charges. Please refer to Features and Details tabs for more information. Ltd Savings Account is rated 4.1 out of 5 by 128. Rated 5 out of 5 by Janet2017 from LTD Savings accounts are great I only wish you had these years ago. I wouldn't have had my money locked up in Certificates for so long. I would rather be using m y own money. Rated 5 out of 5 by MCS from Great product to handle a mortgage cash out balance I need my money to be very liquid while I use it for a number of home improvement projects. Great way to earn a little more interest while I use up the cash over the course of the year! Rated 5 out of 5 by DOC from Excellent accounts with great benefit I have been a member at DCU for many years and really like this account as it a good way to keep cash liquid while getting a great rate of return on my savings. Rated 5 out of 5 by Sisse from So far great We just opened a Ltd account. The process was so easy. We are very happy with the higher interest rate we will be getting. Rated 5 out of 5 by Darren F from Good rate and product DCU makes it very easy to open up savings accounts and transfer your extra money to a good account like this. With the good rate given, this makes the LTD Savings worth it for all members. Rated 5 out of 5 by mr from Best interest rate around! I shopped online and found that DCU is paying the highest interest rate by far! That makes this the very best savings account around. Is there a time commitment required for this account? If I decide to move my full savings in 6 months, are there any penalties? There is not a minimum time commitment for the LTD account. However, only make one withdrawal during a month. can the LTD account be used for an IRA account? The LTD is a savings account. The Individual Retirement Arrangement (IRA) is a tax-classification for deposited funds. Once you have IRA-based funds; then you may use any regular banking vehicle. This means that you can use the IRA money in checking (over 59.5 years old), Certificates of Deposit, MoneyMarket, and LTD savings accounts. Yes, you may place your IRA classified funds into an LTD savings account. Is there a limit on once a month free withdrawal amount in LTD Savings account? There is not a limit to the amount of money that can be withdrawn from the LTD Savings account (up to once time per month). However, you will NOT earn any interest when below the minimum investment balance (currently $25,000). With LTD savings.. I can withdraw without penalty every month if balance is more than 25K? One free withdrawal from an Ltd Savings is permitted each month. Additional withdrawals during the calendar month are $25 each. There are no penalties assessed if the balance falls below $25,000, however, the Ltd Savings only earns dividends when the balance is $25,000 or more. Is my savings taxable in Mass. ? If you have earned $10 or more in dividends you would be required to report these funds on your tax returns. If this is the case A 1099 would be generated for your accounts and is available under the ESTATEMENTS section of Online Banking. For any further information regarding your funds and tax returns we recommend that you speak with a Tax Advisor. "Opening account as simple as a click"
This account was easy to open and has good value for money. By Phone – Call 800.328.8797 (select 3). Visit a DCU Branch – Visit a local branch and open a Ltd Savings Account. A Member Service Representative will assist you and be able to answer all your questions. This has been a great savings tool. It's perfectly in-between a traditional share savings account and a certificate of deposit. 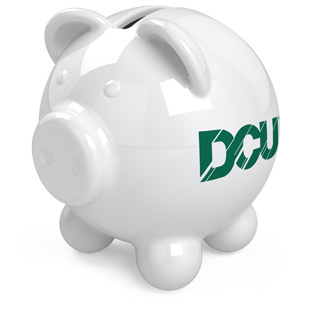 Other DCU Savings Accounts – View our other Savings Account Options and open online. DCU Checking Accounts – Stop paying big bank fees. Save hundreds with a DCU checking account. DCU Certificate Accounts – Earn higher interest rates than traditional Savings Accounts. Add Joint Owner to Existing Account Form (.pdf format) – Use this form to add a joint owner to an existing account. Change of Ownership Authorization with Full Consent Application (.pdf format) – Use to remove a joint owner with their consent from any or all of your DCU accounts. Mail-in Deposit Form (.pdf format) – For mail-in deposits – Type, print and mail your own deposit slip from home.